It’s cold outside. The Queen’s Birthday public holiday is the perfect time to explore one of our fascinating exhibitions, inside the warmth of the Library. The Library’s newest exhibition Free, secular and democratic: building the Public Library 1853–1913 opened last week and explores the grand vision of Victoria’s cultural institutions and the people who made it happen. See the original plans for the Public Library (now the State Library), a beautiful case of humming birds on loan from our friends at the Museum and a captivating multimedia reconstruction of Reed’s Intercolonial Exhibition, which takes you through the building as it would have appeared in 1866, prior to its demolition. The domed reading room is a Melbourne icon, a space that has inspired writers and artists since it opened on 14 November 1913. 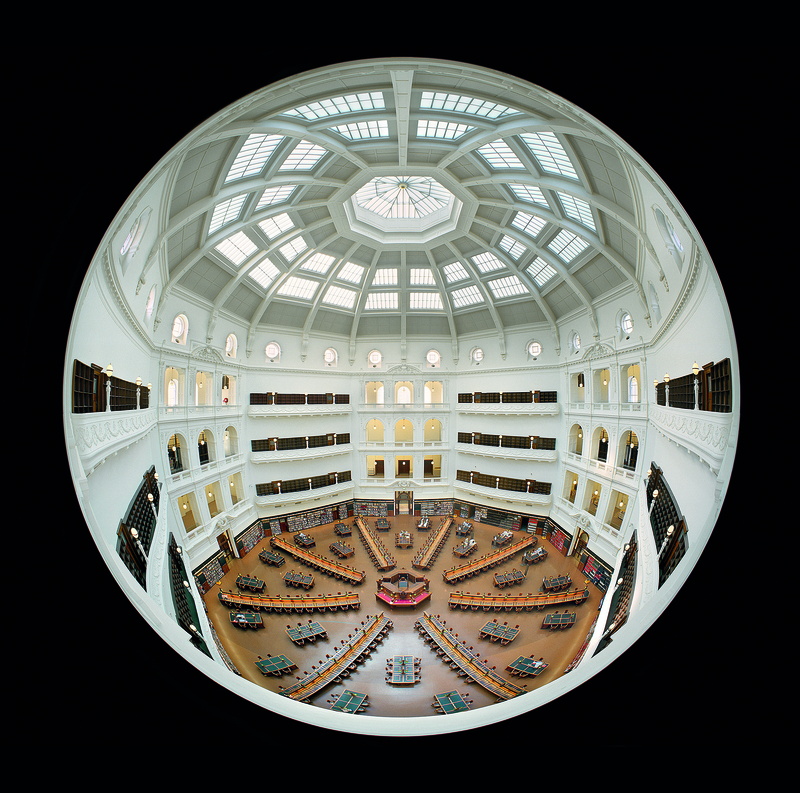 As we celebrate our Dome Centenary, Enchanted dome: the Library and imagination features representations of the dome in art and literature from the 1950s to today. Take a stroll around the Dome galleries on levels 4 and 5, overlooking the beautiful reading room, and absorb the historical artefacts that shaped Victoria in The changing face of Victoria exhibition which includes Ned Kelly’s armour or soak up the rare, beautiful and historically significant books held in the Library’s collections in Mirror of the world. Free, secular and democratic and Enchanted dome are part of many Dome Centenary exhibitions and events taking place in 2013, to celebrate 100 years of our iconic dome and all that it enables. On the Queen’s Birthday public holiday the Library will be open from 10am to 6pm, the Galleries will close at 5pm. Come and explore.